The tablets war is on extreme. As Apple had revealed it's iPad 3, India launched it's Aakash Tablet (with Datawind), Samsung launched Galaxy Tab 10.1 (Apple won legal battle against Samsung, leading to ban on Galaxy Tab 10.1 in US), similarly Google launched it's Nexus 7. As the tech world was presented with this new tablet, all the tech blogs have been buzzing abuot this hot topic. As you may not have got the technical specificationsof the tablet so far, here is what you would be buying your Nexus 7 for: A 7-inch Tegra 3 powered Android 4.1 “Jelly Bean” tablet. The revealed specifications shows that the Google Nexus 7 is a 7 inch Tablet featuring 1280 x 800 HD display with a pixel density of 216 pixels per inch of the surface. Here it would be worth to mentions that the pixel density of the iPad is 264 pixels per inch. The screen is said to be made of scratch resistant corning glass. The tablet have a 1.3 Mega Pixels Camera, Bluetooth and all connectivity features that you could expect like WiFi, 3G, Micro USB port. The price of Nexus 7 is astonishing, something we can say for sure that Google can't make much profit at this price. You wondering, what the price would be, right. It's USD 199 for a 8 GB device and $ 249 for 16 GB device. Nexus 7 runs on a 4325 mAH abttery which is again much better choice for heavy internet users. It is sufficient to give a 8 hours of active use like watching video and a 300 hours of standby time. In this price you will get the device ofcourse + a copy of Transformers Dark of the Moon and $ 20 credit that you can use in Google Play. 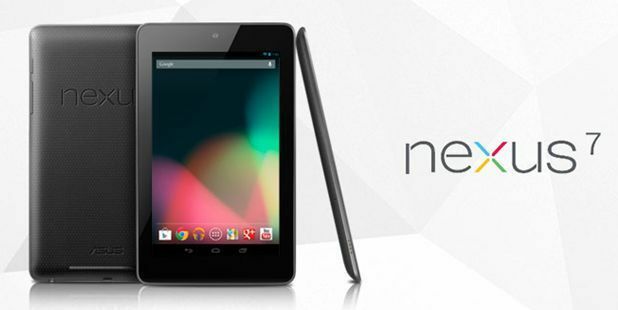 Google Nexus 7 will run on the latest version of Android, Jelly Bean, which is not much known to anybody yet. Google has started accepting orders, you too can Order your Nexus 7 if you are in US. It will be available in other countries very soon. The device is expected to be shipped in two weeks. Over all i would say, better than Aakash which seems to be never reaching to users, and a good alternative to iPad.